Latvia's economy will grow at the fastest rate among the Baltic countries, the International Monetary Fund (IMF) forecasts, reported LETA. The Latvian economy will grow 3.2% this year and 3.1% next year. Estonia will see its economy expand 3% and 2.9% respectively, and Lithuania's GDP is expected to grow 2.9% this year, and growth is set to slow to 2.6% next year, according to the IMF estimate issued on Tuesday. Growth in the euro zone the Baltic states belong to should stand at 1.3% this and 1.5% in 2020. 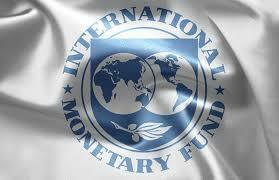 The average annual inflation rate will stand at 2.3% this and next year in Lithuania, the IMF estimates. In Latvia, it will stand at 2.4% in both 2019 and 2020, and amount to 3% this year and 2.8% next year in Estonia. The unemployment level should stand at 6.3% in Lithuania this year and inch down to 6.2% next year. In Latvia, it will stand at 7.3% both this and next year. Estonia will see its unemployment rate fall from 4.7% this year to 3.5% next year. Lithuania's current account surplus should stand at 1.1% this year and 0.6% next year.